J&J lowers CEO bonus, cites "disappointments"
TRENTON, N.J. 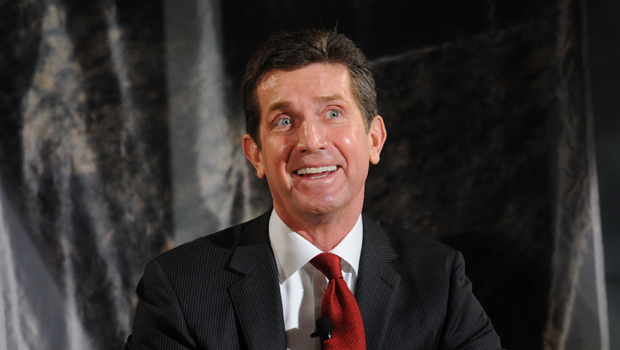 Citing "disappointments" last year, Johnson & Johnson (JNJ) has lowered planned bonuses by 10 percent for new CEO Alex Gorsky and other top executives. The giant health products maker called its 2012 results a "mix of short-term successes and disappointments," with the latter including slow sales growth, a still-tarnished reputation and failure to get many of its recalled consumer health products back into stores as quickly as hoped. Still, Gorsky received total compensation worth $8.93 million, up about 62 percent from the $5.52 million total he received in 2011, based on the company's annual proxy statement filed Wednesday. Gorsky, a former Army captain with an MBA from the University of Pennsylvania's Wharton School, was promoted from vice chairman to chief executive last April 26 and became chairman in December. In 2012, he received salary totaling $1.09 million, cash incentives of $3.41 million, stock awards worth $2.79 million, option awards worth $1.48 million and other compensation of $159,774. The last category includes about $49,000 in pension contributions, $7,000 for tax reimbursements related to transportation costs of relatives traveling with Gorsky, and about $98,000 for a car and driver for Gorsky, his personal use of corporate aircraft and his home security system. Gorsky's predecessor, Bill Weldon, received total compensation of about $26.6 million last year, up from about $23.4 million in 2011. Since September 2009, New Brunswick, N.J.-based J&J has issued about three dozen product recalls - covering faulty hip implants, stinging contact lenses, a couple of prescription drugs and a slew of over-the-counter medicines such as Tylenol, Motrin and Rolaids. Reasons for the recalls have included nauseating smells on packaging and tiny metal shards and wrong levels of active ingredients in liquid medicines. Two years ago, Weldon predicted all the recalled consumer health products would be back in stores by the end of 2011. That's been pushed back repeatedly, now till sometime next year. Lost product sales and expensive factory upgrades have cost J&J well over $1 billion, and it's operating under increased scrutiny by U.S. regulators. The company, which frequently pledges allegiance to its credo of putting patients, medical providers and employees ahead of profits, conceded its reputation isn't completely restored. "We worked to address several reputational challenges and continue to strive toward regaining the reputational standings that we expect of ourselves and our customers and shareholders expect of us," the proxy stated. Besides the manufacturing quality problems, J&J is under investigation by the U.S. Justice Department over marketing of its hip implants and is being sued by roughly 11,000 people who allege harm from those implants. J&J agreed last August to pay states $181 million to settle charges over marketing anti-psychotic drug Risperdal for non-approved uses, and it was fined $1.2 billion by an Arkansas judge for downplaying risks associated with Risperdal. The candid filing stated that J&J only partially met goals for expanding operations around the world and creating more innovative products. And it noted last year's revenue growth, excluding J&J's mega-acquisition of orthopedics product maker Synthes Inc., was only 3 percent. That was below its goal of 4 percent to 5 percent. The filing cited multiple challenges, including restrained health care spending around the world. Meanwhile, the maker of everything from "No More Tears" baby shampoo to complex biologic drugs listed several accomplishments last year. Those included successfully integrating surgical trauma equipment and orthopedic implants maker Synthes - at $19.7 billion, its biggest acquisition ever - and boosting earnings per share by 6 percent, excluding one-time items. The filing said the company was a leader in the number of medicines approved last year, met its goal of generating free cash flow of $12.5 billion and worked with government and various partners on issues from regulatory reform to access to health care.